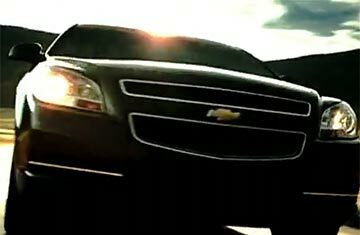 GM's New Ad Campaign: Will It Restart the Engines? Imagine you're a huge American company that has built its reputation on durability, reliability and being the biggest damn dog on the street. Then let's say you get into horrible, disastrous debt and have to go begging to the government, like a sad little stray. And then you still end up in Chapter 11. Your customers are peeved because they have to bail you out. Your frailty makes them wary of buying anything from you. And every wrong thing you've ever done (like, say, making the Pontiac Aztek,) nags at them like a stain you put on their best rug. How do you make a commercial for that? "This was definitely one of the hardest briefs I've ever received," says Eric Hirshberg, president and chief creative officer of Deutsch L.A., which created the ad. "How do you sell cars from a bankrupt company that a lot of people don't like right now?" The agency, which also worked on Coors Light's "Wing Man" ads and DirecTV's movie-spoof ads, decided to go with brutal frankness, says Hirshberg, "coupled with an honest and credible level of vision and optimism for the future." There will be more aggression in Phase 2 of the campaign, says Jay Spenchian, GM's executive director of corporate advertising strategy, who describes his company's current relationship with its customers almost as if it were a lovers' quarrel. "When you've had a disagreement with somebody and you acknowledge what they're feeling, it can really help them hear you," he says. And while he acknowledges that some within his firm were concerned about the image of a disabled athlete, they became convinced that the one-legged runner was an apt visual metaphor for overcoming adversity. Several other marketing experts question the wisdom of touting the GM brand at all right now, suggesting a dignified silence might be the best policy. "Even people who rave about their new Camaro really hate GM," says automotive-marketing consultant Brian Pasch. "[The company] should separate the loyalty for the brand from the anger at the bureaucratic mess that is the management." Whether or not the new ad sells cars, it is clearly having a cultural impact. It has already spawned at least one spoof ("Let's be completely honest," it opens. "Our lawyers say we have to ...") and much Internet chatter, with one wag wondering if GM was wise to adorn the spot with music from a song ("Interstate 5," by the Wedding Present) about a person who was used for a night and then abandoned. Here's hoping GM customers don't identify with the lyrics too closely. Watch a video about an optimistic Dodge dealer. See the best cars from the 2009 Detroit Auto Show.